Giving up your own dream to support another person’s is not an easy task. 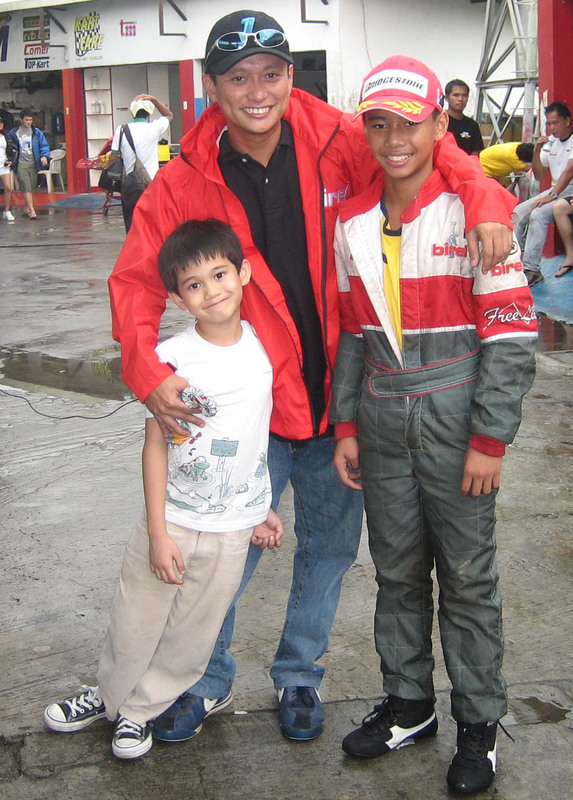 But the decision wasn’t that tough for Jeff Reyes, a national carting champ (KT100). I spoke to him one time in the cafeteria of our Every Nation Building, and he told me that his decision to give up carting was not hard because he wanted to spend more time with his son, Jaco. And since Jaco was also into carting, he became his son’s coach. This way, he not only gets to be on a race track, which is in an environment he truly enjoys, he also mentors his own son. Jaco was the reigning champion for his division in 2006. In a day and age where you see a lot of egocentric and self-absorbed adults, it is refreshing to hear about a dad who is willing to give up a hobby that he does not only love, but is great at—because he has a greater dream for his son. The Bible says in Ephesians 5:15,16, Be very careful, then, how you live—not as unwise but as wise, making the most of every opportunity . . .
We really only have a short window of time with our children, grandchildren, nieces, nephews, and students. Let us not just spend time with them. Let us invest time.